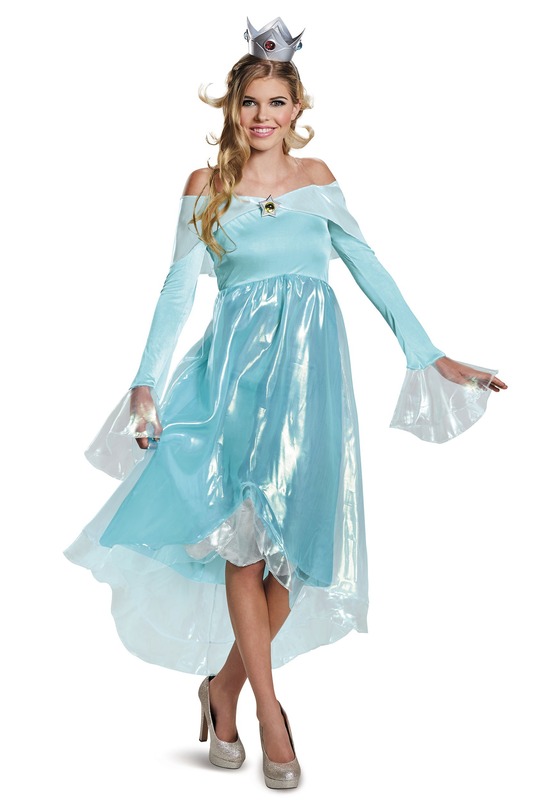 So, if you’re planning dressing up to be the wisest and most benevolent princess in the entire galaxy, then maybe you should look to the example of Rosalina and get this licensed Rosalina deluxe costume. The costume is designed to look like her outfit from the Super Mario Galaxy series. It comes with a lovely light blue dress that has plenty of great details, like a star brooch on the bust and wispy accents around the sleeves. It has over the shoulder sleeves and a shimmering skirt. It even comes with a silver crown to make sure that everyone knows that you’re a true princess! Once you have it on, Bowser might show up to cause trouble (he never seems to be able to leave princesses alone) and Marion and Luigi may make an appearance at your kingdom. Just make sure you have a set of go-karts set up for their arrival, since nothing starts a party like a rousing game of Mario Kart (which you will undoubtedly win).